For the ultimate in strap adjustability even “on the fly” there is only one choice. The new Carved Ultra features new fingertip control with a snowboard inspired tongue and click-buckle system. Micro adjustable. The innovative quad tongue Power Trim system makes strap adjustment easier and more accurate. Anywhere. Anytime. And in a fraction of the time as traditional velcro straps. Maximum comfort and feel. The Ultra’s lighter and thinner construction feels like your favorite pair of sneakers. New memory foam not only adjusts to your foot but supports it for more comfortable landings. Easy to adjust. 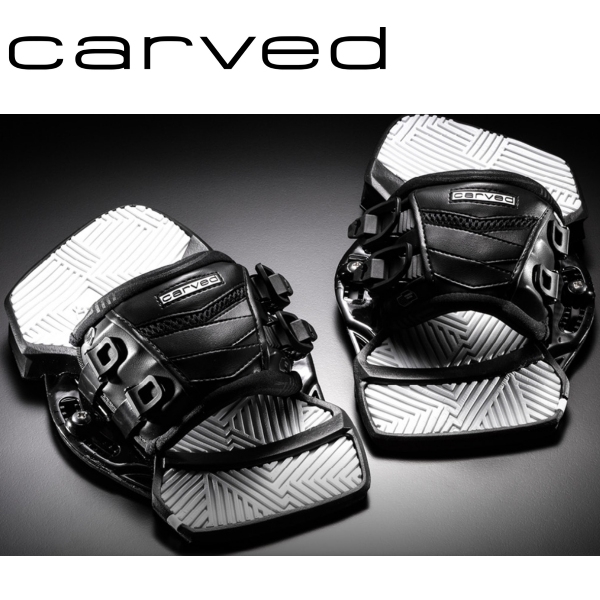 The Ultra's snowboard inspired, proven, tongue and buckle system is also adjustable in both x and y-axis without tools. Want to move your straps closer to your toes? No problem, the easy to adjust tongues are easily adjusted by hand. Anywhere. The strap's neoprene and memory foam padding conforms to any shape. Sneaker-like comfort. 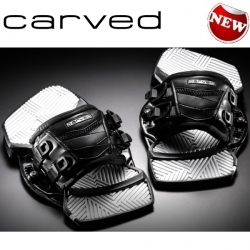 That's what you should expect with the new Carved Ultra. With 2 stance positions on the x-axis (board length); 11 angle options; and 6 options in the y-axis (board width) there is no other pad system that is more adjustable. Micro adjustable straps without tools or velcro. The wings are easily adjustable in width and positionally with multiple anchor points on the pads and a simple click buckle system. Multiple anchor points lets you move, angle and experiment with your new straps any which way you like. Find your comfort zone with the new Strap Lock Wings.